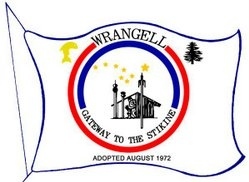 Wrangell Borough Assembly met for a regular meeting on April 10, 2019. Read the agenda and listen to the full audio here. Wrangell Borough Assembly met for a regular meeting on March 26, 2019. Read the agenda and listen to the full audio here. Wrangell Borough Assembly met for a regular meeting on March 12, 2019. Read the agenda and listen to the full audio here. Wrangell Borough Assembly met for a regular meeting on February 27, 2019. Read the agenda and listen to the full audio here. Wrangell Borough Assembly met for a regular meeting on January 22, 2019. Read the agenda and listen to the full audio here.